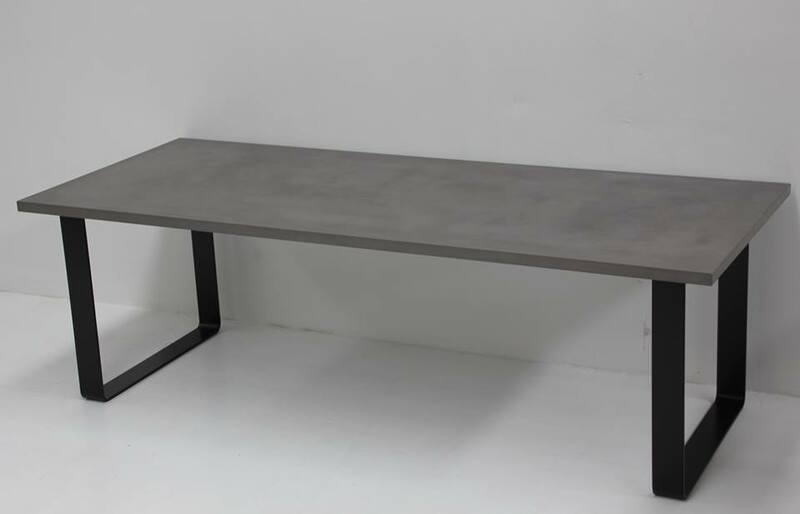 New Form Concreting specialises in custom concrete furniture, due to our concretes strength and its natural sustainable nature, concrete is a brilliant choice for custom furniture. We can almost create any piece to suit your home or business. If you can dream it, we can create it. Dusk coloured concrete dining table with matte black looped legs. 2.5m X 1m seats ten people with four on each side, and one at each end.